UPDATE: As of May 17th, the Halo Reach Beta has ended. However, we will continue to update the site with all the latest Halo Reach news, discussions, and some cool exclusive content. If you're a fan of Halo Reach stick around, we'll keep you up to date! How do I join the Halo Reach Beta? Do current copies of ODST still get access to the beta? Do used copies? Rented copies? What will be available to play in the beta? Fret not, young Spartans, for we have all the answers for you. Check out our full Halo Reach Beta FAQ below. How do I join the Halo Reach Beta? There are two ways to join the beta. The first is to buy a copy of Halo 3:ODST. All copies of Halo 3:ODST come with an invite to the Halo Reach Beta. You can get a copy of Halo 3:ODST with a Halo Reach Beta invite for just $29.99 here. 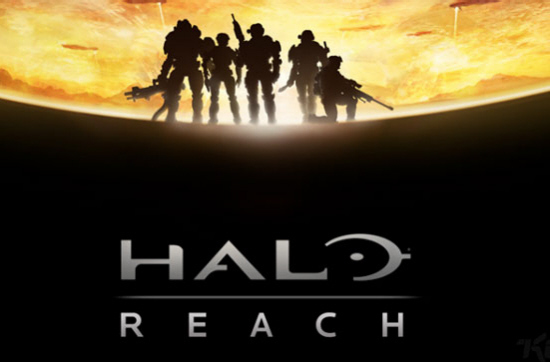 The second way to join is that Bungie recently rewarded loyal Halo 2 players with Halo Reach Beta invites. If you have not already been contacted about this by Bungie, then you missed the cut and the only way to get in is by purchasing ODST. How will I access the beta from ODST? Which disc do I need? On May 3rd the Halo Reach Beta will become accessible through the extras menu of the Halo 3:ODST campaign disk. When does the Halo Reach Beta start, and how long will it last? The beta begins on May 3rd. Bungie says it will last as long as it needs to last for them to collect the data they need, though most people are predicting it will last roughly 2 weeks and then be shut off. Can I access the Halo Reach Beta with a used copy of Halo 3:ODST? Yes, a used copy will work fine. Yes, a rented copy will work fine. In fact, if you are not already a gamefly member you can sign up for a free 10-day Gamefly trial and rent ODST for free, allowing you access to the Halo Reach Beta at no cost. Where is the cheapest place to get Halo 3: ODST? Amazon has it for $29.99, which will get you your copy of Halo 3:ODST and an invite to the Halo Reach Beta. You can get it here. Does Halo 3:ODST still come with the Halo Reach Beta or am I too late? All copies of Halo 3:ODST come with the Halo Reach Beta, even now. You are not too late. Will the Halo Reach Beta be single player or multiplayer? The Halo Reach Beta is multiplayer *only*. There will be no campaign, and no firefight in the beta. How many maps does the beta include? The Halo Reach Beta will include four maps. You can read about them here. Will the Halo Reach Beta just be one gametype? Are there any good Halo Reach pre-order deals? Amazon is offering a great deal. For a limited time only you can get a free $20 gift card when pre-ordering Halo Reach.